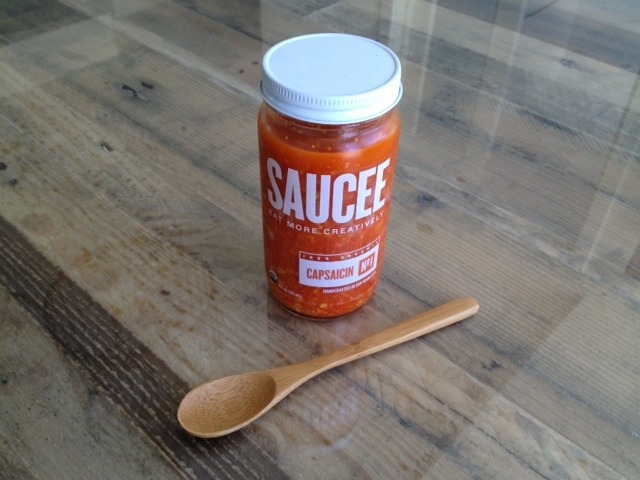 Saucee is a brand new line of 100% organic sauces locally crafted in the San Francisco Bay Area that launched on Kickstarter in March 2013. Finally, sauces with pure ingredients and a great balance of heat and flavor, without any added oils, sugars, or additives. We've created 5 flavorful, colorful, and universal sauces — they can be used on anything and everything! This is a 3 pack for $23 plus $7 for shipping.